In a remote 19th-century Cornish village, an evil presence lurks within the darkness of the witching hour. 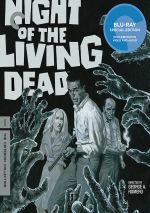 While 1968’s Night of the Living Dead acted as the granddaddy of the modern crop of zombie-related entertainment, it didn’t bring us the first film in the genre. 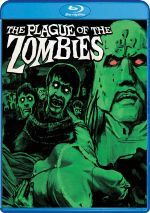 Indeed, just two years earlier, 1966’s The Plague of the Zombies gave us a “walking dead” tale from the folks at the Hammer studio. Set in a Cornish village circa 1860, an epidemic kills off young citizens. Doctor Peter Tompson (Brook Williams) strives to find a stop to this, but he fails and requests the help of his mentor, Sir James Forbes (André Morell). Matters complicate from there, as newly-deceased corpses start to disappear. Before long, the dead walk again and create a menace. Whereas the Romero Dead films never really explained why the deceased returned to life, Plague ensures that we learn the cause. Unsurprisingly, it opts for a voodoo-based orientation, a choice that probably made the movie seem exotic in 1966. In 2019, however, Plague’s depiction of non-Anglo cultures seem clumsy at best and misguided much of the time. These elements come across as a negative aspect of the tale. It also doesn’t help that Plague seems more interested in the personal life of Sir James’s daughter Sylvia (Diane Clare) than its spooky theme. I guess the film intends for Sylvia to act as the audience’s entry into the horror, but instead, she feels like a distraction, as her side of the narrative fails to add much. Since Sylvia fills so much of the movie’s running time, that becomes a substantial negative. Honestly, the film could omit Sylvia completely and work just as well – and probably better, as the tale could more cleanly concentrate on more interesting matters. When Plague embraces the horror it promises, it threatens to spring to life. Occasional scenes offer pretty decent scares, albeit ones that veer toward camp at times. These feel too few and far between for Plague to become a successful thriller, though. Slow, disjointed and not especially scary most of the time, the film sputters. The Plague of the Zombies appears in an aspect ratio of approximately 1.66:1 on this Blu-ray Disc. Despite some iffy moments, the image usually worked pretty well. Sharpness usually seemed positive. A little softness occasionally crept into wide shots, but the majority of the film showed nice clarity and accuracy. I saw no jagged edges or moiré effects, and edge haloes remained absent. Print flaws also created no concerns. Plague opted for an earthy palette, with an emphasis on browns and yellows. A few more dynamic hues occasionally emerged, but these dominated. The transfer replicated these hues in an acceptable manner, though I thought the tones could feel a little drab at times. Blacks were pretty dark and deep, while shadows seemed acceptable. All in all, the image held up reasonably well over the last 53 years. Plague came with a wholly mediocre DTS-HD MA monaural soundtrack. Speech tended to seem somewhat distant and bland, without great naturalism, though the lines remained fully intelligible. As we shift to extras, we find two separate audio commentaries, the first of which comes from filmmakers Constantine Nasr and Ted Newsom and historian Steve Haberman. All three sit together for this running, screen-specific look at Hammer horror, cast and crew, production areas and genre topics. Though the track views the film through a historical lens, it also gets into a general appreciation for Hammer and related areas. The commentary manages to mix facts and opinions in a fairly satisfying manner. For the second commentary, we hear from author Troy Hogarth. He gives us a running, screen-specific discussion of cast, crew and performances, genre areas, aspects of the Hammer studio, and various filmmaking specifics. More of a traditional “film historian track” than the first commentary, Howarth provides a terrific look at the subject matter. He gives us a good view of Plague itself as well as connected domains. Expect a thoroughly engaging and informative discussion from Howarth. Two featurettes follow, and World of Hammer lasts 24 minutes, 55 seconds. It offers a compilation of scenes from Plague and other Hammer movies that come in similar genres. With Raising the Dead, we find a 35-minute, 27-second program with film historians Jonathan Rigby, David Huckvale, Mark Gatiss and Michael Hearn, art director Don Mingaye, Pinewood Studios technical restoration manager Jon Mann, and actors John Hamilton and Jacqueline Pearce. “Dead” looks at various aspects of the Plague production, as we trace its roots, development, creation and release. “Dead” acts as a slightly disjointed but generally informative look at the film. A Restoration Comparison runs three minutes, 37 seconds. It simply offers a side-by-side “Before” and “After” view of the film’s improved transfer. Some discussion of the work would make this more valuable. In addition to three trailers, we get a Still Gallery. a running montage. It includes 93 images that mix publicity elements, movie shots and behind the scenes images. It provides a nice compilation. As a pre-Romero take on the genre, The Plague of the Zombies largely fizzles. The movie enjoys the occasional scare but too much of the story feels dull and meandering. The Blu-ray brings pretty good picture with mediocre audio and a good selection of supplements. Plague lacks much to make it better than a period curiosity.